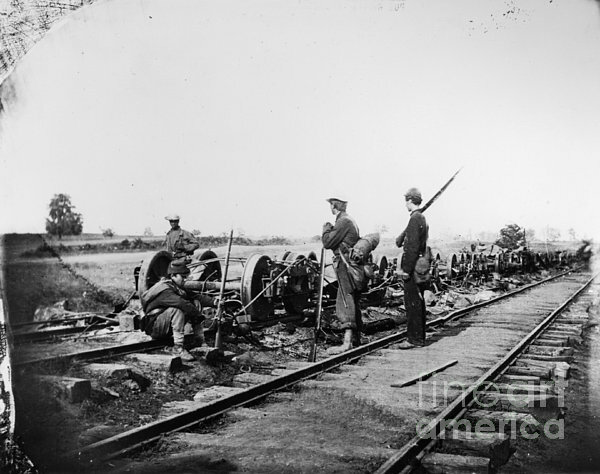 There are no comments for Civil War: Bull Run, 1862. Click here to post the first comment. 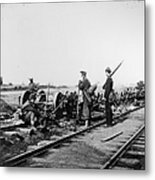 CIVIL WAR: BULL RUN, 1862. 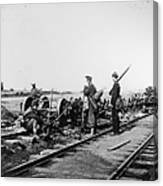 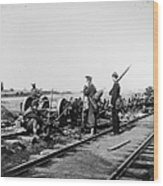 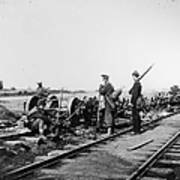 Union soldiers guard box cars burned by General 'Stonewall' Jackson at Manassas Junction, at the Second Battle of Bull Run, 1862.